Bansuri is about as simple as it gets - a piece of bamboo with just a few holes. Wind flows in as breath of life. Lo and behold! Breath of life becomes sound celestial. Warming and melting the hearts of one and all. The history of Bansuri is said to be as old as humanity itself. Perhaps first discovered by our ancestors... Wind blowing across some termite chewed bamboos... Wow! What is that? Who is whistling? God??? And then God residing as intelligence in man came forth... Man took a hint and used his breath on the bamboo... And was born Bansuri magic! At least, I guess that's how. 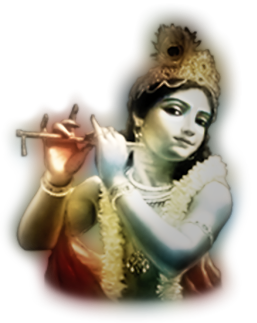 If there is a single ancient bansuri player to be named who else could it be but Krishna. Bhagavan Shri Krishna is said to have walked the streets of Vrindavan in India some five thousand years ago. Krishna: The Lord of Bansuri. The mention of Krishna's name, an avatar of Vishnu, brings to mind two words - Bansuri and Bhagavat Geeta. Bhagavat Geeta being the great sermon delivered in the battlefield of Kurukshetra by Krishna later in his life. And, of course, Bansuri being the ancient and deceptively simple side blown bamboo flute that produced mesmerizing melodies when on Krishna's lips. Upon hearing his bansuri lost cows would find their way home and damsels of the village would forget all and run to see him! This how the legend goes. The word Bansuri is actually the conjunction of two words - Baans (bamboo) + Sur (musical note). Bamboo used in making Bansuri's is of a very special variety found mostly in the north eastern and southern regions of India. This bamboo is special in the sense that it fulfills the requirement by having sufficiently long sections between the nodes. Also the wall thickness of this variety is quite low as compared to the bamboos used in making flutes in other cultures e.g. Shakuhachi in Japan. So inherently organic is Bansuri in design that it is easy to mistake it for something archaic, of value to just folk music perhaps. In the hands of a maestro like Hariprasad Chaurasia ji it attains an astounding range of three octaves and paints the landscapes unseen with 22 microtones (Shruti's), not to speak of the nuances which are prior to words! Beauty of sound of bansuri captivates one through its earthy, rich, vibrant and at times husky tone. Bansuri being a keyless instrument, lends its self very well to faithfully reproduce the Indian musical soundscape which is essentially embellished with various ornamentations like meend, gamak etc. Since it is played with both breath modulation and finger movements, the two most important ornamentations meend and gamaka's are very efficiently and beautifully playable on bansuri . Its glorious history apart, for the longest while, bansuri was considered an instrument fit only for playing folk music and not classical music. It was so perhaps because of its diminutive size and high pitch sound. But this was all to change forever. In the first half of 20th century, bansuri was inducted into the realm of Indian classical music performance. This can be singularly attributed to the ground-breaking innovative creation of bass bansuri by Pandit Pannalal Ghosh. It was basically the same as the ancient instrument but larger in size and having one extra hole. The baritone voice of this new bass bansuri lent the weight and serious timbre expected of an Indian classical instrument. The pioneering work of Pt. Pannalal Ghosh lifted bansuri to the level of a concert instrument. It was entry of Pandit Hariprasad Chaurasia into Hindustani classical music scene in the late sixties that immensely boosted the popularity of bansuri and established it as one of the the main instruments of Indian classical music performance. Over the last 50 years or so, Pt. Chaurasia, with his complete mastery of the instrument, musical erudition and novel playing techniques, has received world-wide high acclaim and has made bansuri one of the most popular Indian musical instruments. To bear the name, a concert quality bansuri must have some essential expectations fulfilled. Namely - clean & resonant sound, responsive blowing, trueness of notes over the whole range of the instrument, a rich lower octave, an easy & stable upper octave, ease of achieving smooth meend (glissando) & clear komal (half) notes and, of course, accurately tuned to concert pitch, generally A=440Hz. Simple and yet full of intricacies. That is Bansuri. Bamboo, being a naturally shaped material, has variations in bore size, bore geometry, bore roughness, density etc., from piece to piece and often within the same culm. 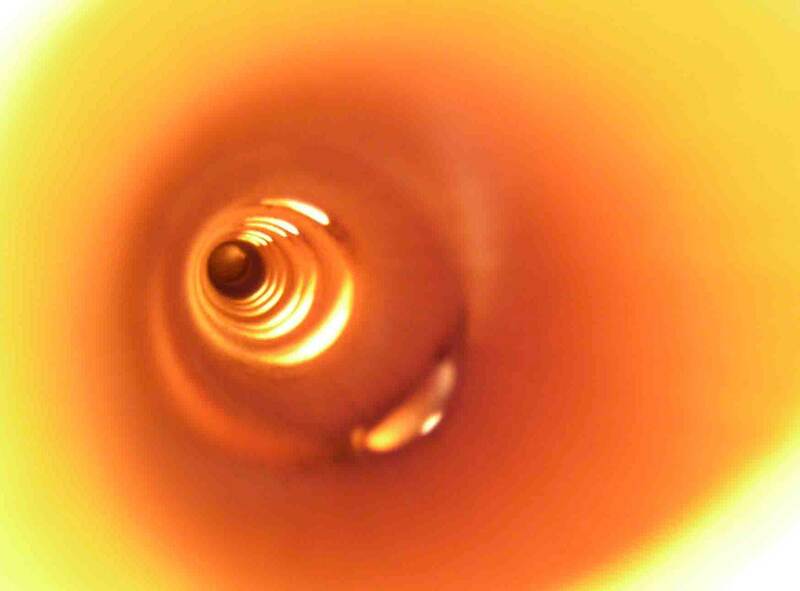 This precludes standardization and during bansuri making each of these natural variations must be tackled individually and very fine adjustments must be made in the tuning process to establish balance between acoustical parameters of each of the notes. As a consequence, mass production techniques cannot produce a concert quality bansuri. With my ongoing theoretical studies and practical research, I am working toward developing a better understanding of how various parameters and dynamics affect color, balance, and minute harmonic variations in the sound produced by this magnificent instrument.